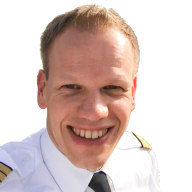 Daniel is an Airline Pilot located in Hamburg, Germany and based in Munich. After flying, back down on earth, Daniel sorts out Bits and Bytes in the virtual world. Contact Daniel at one - or even all - of the following social media platforms.